If searching by ship or squadron number, please include the dash (-) for best results (e.g. F-14 as opposed to F14). Now you can create and account and have your contact info filled for you automatically when you checkout. Click the Create Account button to create your account today! 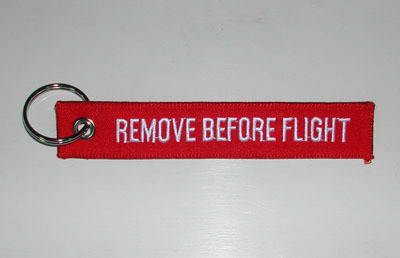 REMOVE BEFORE FLIGHT - Embroidered Cloth 1" X 5 1/2"